The Study of religion has always been an area of study that has intrigued me. One of the most important aspects of all religions are initiation rites. 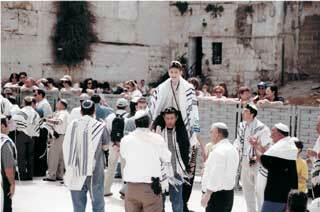 This web site is dedicated to educate people on the initiation rites performed in Judaism. Evolution is an important aspect of all religions of the world. With traditions within the religion evolving and changing the rules a bit, people outside of their religion begin to appreciate the true beauty of the religion. 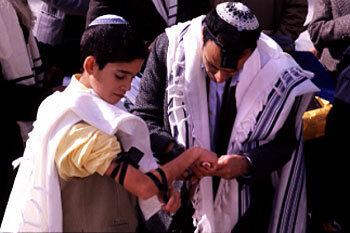 One religion that has definitely evolved in its traditions is Judaism with their bar mitzvah ceremony. Its changes in significance, rules on whom can attend, and the definition of legal adulthood in the Jewish world, are just some of the aspects that have caused both the religion and the tradition to evolve. The bar mitzvah is a tradition that originates during the middle ages. It is a tradition that basically welcomes a thirteen year old boy to Jewish adulthood. Although the Talmud states that a boy attains legal adulthood at the age of 13, it does not prescribe any ritual for the occasion (Lowenstein 108). A possibility as to why there were no rituals performed back then is because a person does not need a ritual to become thirteen years old and enter puberty. It is a natural occurrence. Though it is not necessary for a ritual to be performed to enter Jewish adulthood, the ritual that people know as the Bar Mitzvah grew from the Ashkenazi Jews. the custom grew that a boy demonstrated his into full participation in the religious service by reading a portion of the Torah or the prophetic reading at a Sabbath service (Lowenstein 108). Though this is a very important part of the ritual, other jewish communities thought that there were better ways of demonstrating a boys manliness. In many parts of the Muslim world, however, the essential demonstration of manly obligations was the putting on of tefilin, a practice done only on weekdays (Lowenstein 109). Because the tefilin is only worn on weekdays, the only days that a person has the option to celebrate a bar mitzvah in those days were on Monday or Thursday, which are days that the Torah is read, rather than on the Sabbath. 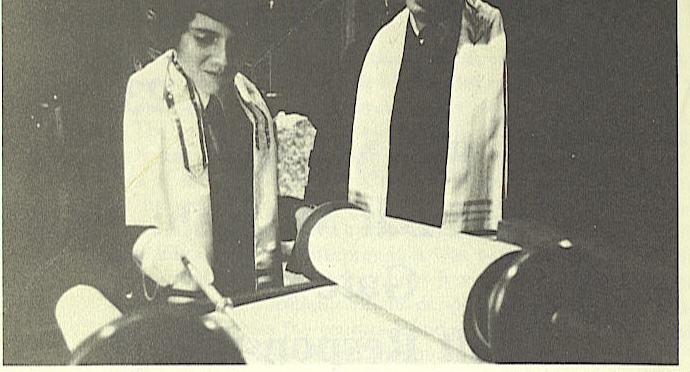 When the bar mitzvah was beginning to become a sacred tradition in Judaism, the age of thirteen seemed to be a very mature age to introduce a boy into adulthood. One reason for this, is due to inspirational biblical stories. The story of Abraham is one of the stories that have inspired this celebration to be held at the age of thirteen. When Abraham was at the age of thirteen, he received a message from God telling him to leave his fathers home, his idolatrous ways, and ultimately Abraham made a covenant with God. Another story that has inspired this tradition to be celebrated at this age is the story of the twins Jacob and Esau. At the age of thirteen they experienced their turning point. It was then that they separated - Jacob to study the Torah and become known as Israel, and Esau to follow the ways of Idolatry (Moskovitz 5). A scripture found in the Torah, according to Moskovitz, is what most probably sealed the deal on making this celebration at age thirteen. In Genesis 34:25, Levi is considered to be a man at age thirteen. This along with the actually goes on in the story mark the transition between childhood and adulthood. Since the time of its origin, the bar mitzvah has evolved a great amount. What once began as a simple blessing, to a simple reading in front of the community, the bar mitzvah has changed in significance in Jewish life. In most traditional societies the bar mitzvah celebration was essentially a family or communal affair (Lowenstein 107). In recent years, the magnitude of the celebration has changed. Now, the bar mitzvah is not only celebrated with a service at the synagogue, but is accompanied with an extravaganza that includes feasting, decoration, and music. Another great change in the Bar mitzvah celebration is who can actually take part in the bar mitzvah. In the twentieth century, many synagogues have been introducing the concept of having an adult bar mitzvah. Bar mitzvahs were once considered as a one shot deal. 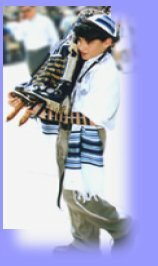 If a person didnt perform a bar mitzvah at this age, a person had lost their opportunity to be initiated as an adult in the community. In modern times, many Jewish communities celebrate bar mitzvahs for those who have missed their chance and also to those whom are newly converted to the religion. Those who wish to be a bar mitzvah at an adult age must prove great knowledge in the scriptures and beliefs before becoming a bar mitzvah. Probably the greatest change in this celebration has been the involvement of women. Judaism is a religion that emphasizes on gender differences. In orthodox synagogues, women are completely separated from men during the Sabbath, and are not allowed to participate in the minyan. With women protesting for equality in the early 1920s the timing was perfect for the first bat mitzvah to take place in an unorthodox synagogue. Women in Jewish sects are now allowed to read the torah, become rabbis, and be counted as a part of the minyan. 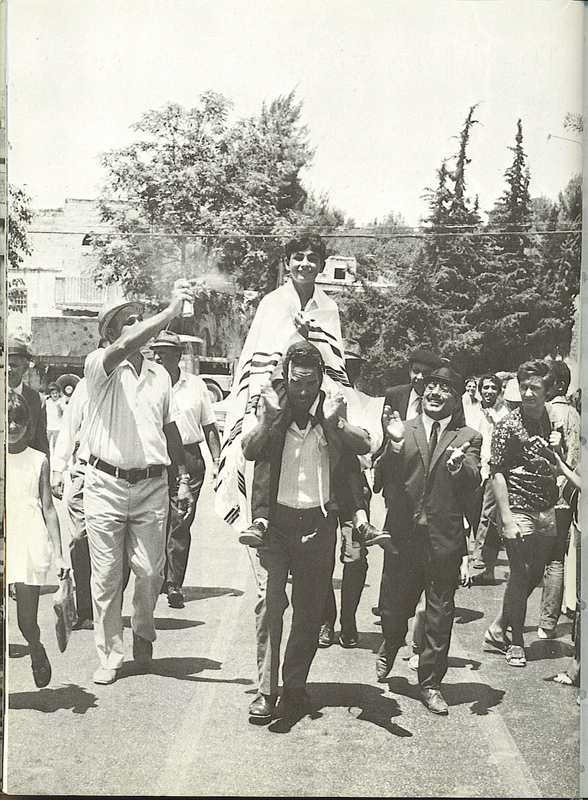 Though it took a while for orthodox Jews to include women in this celebration, the bat mitzvah is now performed in orthodox synagogues. The only difference between the orthodox way of celebrating it and the unorthodox is that women are not called up to read the torah, and lead the service. They are allowed to read some sacred books though. Reformed Judaism has changed the format of the bar mitzvah. In the late nineteenth century, the bar mitzvah has been replaced with a confirmation ceremony for both boys and girls in their late teens. This strongly has emphasizes the equality of both genders. Though there are confirmation ceremonies now in reformed synagogues, they still perform traditional bar/bat mitzvah upon request. A great change that has occurred in this celebration is the meaning of legal adulthood. When the tradition first originated, a boy was considered a man at the age of thirteen. This meant that he was able to sign legal documents and be counted in the minyan. In the twenty first century, this definition has changed a bit due to societies standards. Legal adulthood is now considered to be at the age of eighteen. 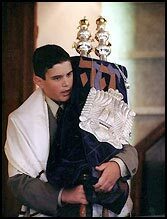 Jewish communities now define the bar mitzvah ceremony more as an entering into adolescence rather an entering into adulthood. The bar mitzvah is not just a person turning twelve or thirteen. It is a mandate that states that this person is now liable for his or her actions in terms of the commandments imposed by Jewish law. This adds responsibility for the adolescent and takes off responsibility for her or her parents. Prior to be twelve or thirteen years of age, a parent is responsible for the childs actions. This ceremony that started out a mere blessing, is now become more of a coming of age ceremony, that is a ceremony that marks a persons liability for his or her actions. Now, this ceremony is boldly stating the bnai mitzvah is no longer children anymore. Most importantly, the greatest change of all is that instead of restricting itself to being a tradition for Jewish males turning thirteen, it is now giving those who missed their calling, females, and the recently converted a chance to experience this ancient tradition.